Following intelligence reports that RT News operates as a propaganda outlet for the Russian government, U.S. Senator Jeanne Shaheen (D-NH) has introduced legislation that gives the Department of Justice new authority to investigate potential violations of the Foreign Agents Registration Act by RT America. The Director of National Intelligence’s recent report titled Assessing Russian Activities and Intentions in Recent US Elections concluded that RT News officials have structured their affiliate organizations to deliberately circumvent U.S. reporting and disclosure requirements under the Foreign Agents Registration Act. Senator Shaheen’s Foreign Agents Registration Modernization and Enforcement Act gives the Department of Justice new authority to compel organizations like RT America to produce documentation on funding sources and foreign connections. 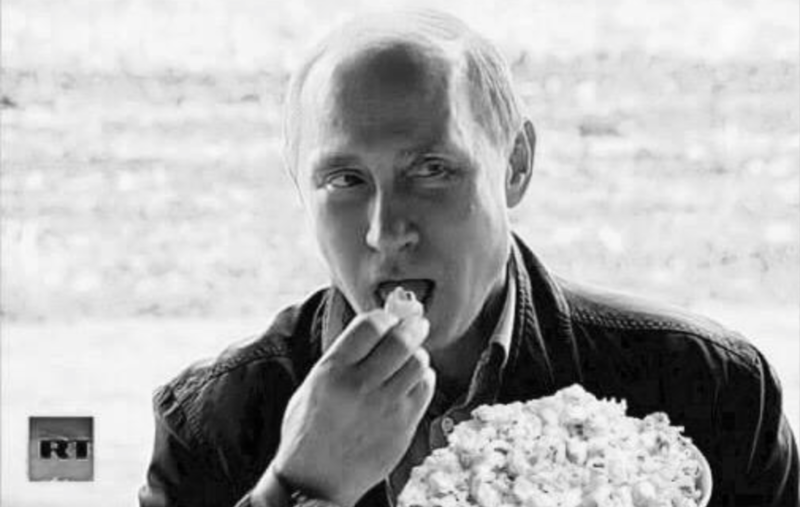 Well, as it turns out, Russian officials have the power to launch meaningless witch hunts in their country as well and have decided to demonstrate that power with the announcement today that they’ll launch a similar investigation into all U.S. media currently operating in Russia. The Russian lower house of parliament, the State Duma, has approved a proposal to launch an investigation into U.S. media organizations that operate in Russia, it said in a statement posted on its web site late on Friday. The investigation, which will be conducted by the Duma’s information policy, technologies and communications committee, will check whether CNN, the Voice of America, Radio Liberty and “other American media” are complying with Russian law. Deputy Konstantin Zatulin, who initiated the move, calls it “a response to the actions of American politicians who have systematically accused Russian news media of interference in U.S. internal affairs,” according to the Friday statement. Shaheen’s legislation, of course, drew wide criticism from Russian agencies including the Russian Foreign Ministry whose spokesperson mocked the bill saying it should have included a clause defining a list of books that should be collected for burning. The statement said the Duma backed the move on Friday evening after Konstantin Zatulin, an MP from the pro-Kremlin United Russia party, proposed an investigation to retaliate for what he called a “repressive” U.S. move against Russian state-funded broadcaster RT. He said he was referring to an initiative by U.S. Senator Jeanne Shaheen, who has introduced a bill to empower the Justice Department to investigate possible violations of the Foreign Agents Registration Act by RT. Foreign media in Russia are overseen by the Russian Foreign Ministry, whose spokeswoman Maria Zakharova this week singled out Shaheen’s demarche for criticism, quipping ironically that the senator should have included a clause drawing up a list of books for burning. The U.S. move also solicited the ire of Margarita Simonyan, RT’s editor-in-chief, who on Wednesday told the daily Izvestia it had echoes of the activities of U.S. Senator Joseph McCarthy, who oversaw a campaign to expose people he regarded as communists in the 1950s. Meanwhile, all of this comes even as top Democrats admitted on Friday that their investigation into Trump’s campaign was unlikely to yield any evidence of collusion with Russia (see “The Democrats’ Trump-Russia Conspiracy Campaign Collapses“). Of course, not many politicians are willing to let facts get in the way of a good narrative.